“Liliana” halo engagement ring by Hearts On Fire. When you are making a diamond purchase, you want to know the story of the diamond, right? The more you know, the easier it is to make an informed decision. That’s where a diamond grading report comes in. It’s just what it says it is: a report that grades the various qualities of diamonds. AGS Laboratories Diamond Grading Reports take that analysis to the next level with Only My Diamond™. Only My Diamond™ is a mobile-friendly tool that provides an easy, quick and interactive way to understand a diamond’s grading report. Share the story of your diamond with your friends and family. Watch this quick video to learn how Only My Diamond™ works. Then ask your jeweler for Only My Diamond™ from AGS Laboratories. 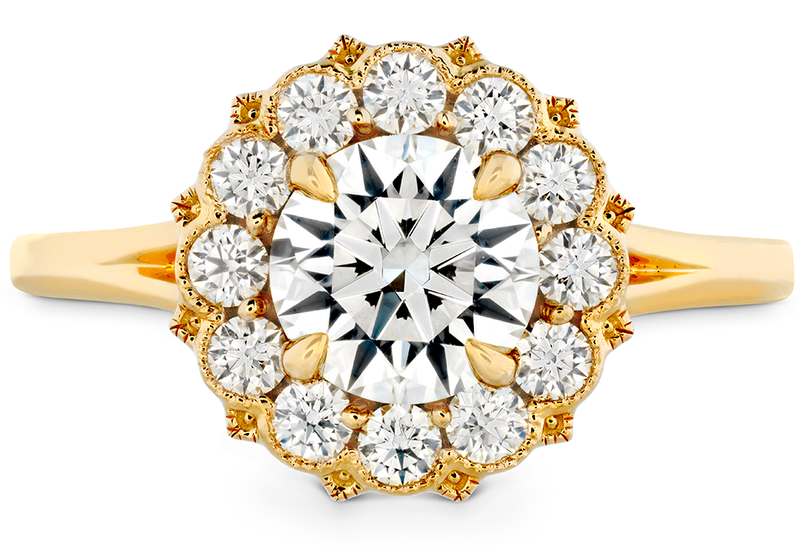 Click here to find a trusted, AGS credentialed jeweler. Already have an Only My Diamond™ report? Click here to view your report. Enter your report number and the diamond’s carat weight in the fields provided. If you don’t have Only My Diamond™, why not take it for a test drive? Click here and enter 9999805 into the AGS number field and then enter .567 for the weight.